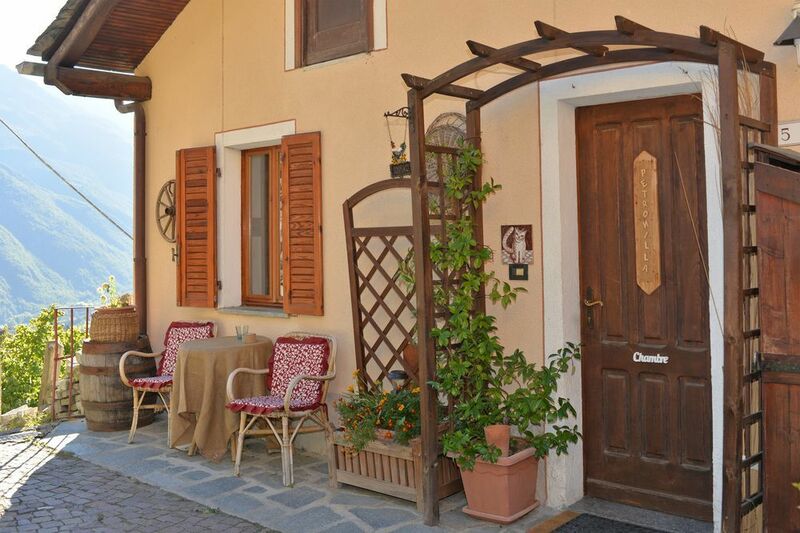 Rooms, services Should you be looking for a pension in Italy, we suggest you take a look at the offers of B&B Il Torchio Saint-Vincent. The pension is offering three tastefully furnished rooms to those seeking accommodation in Saint-Vincent. If you have a suitable portable device, you can connect to the Internet via a wireless network (WiFi) available at the pension. If you wish to learn more about the exact scope of services provided by B&B Il Torchio Saint-Vincent (including those available for an extra fee) or about the equipment of the rooms, you can find the complete list on the information sheet below. Arrival, opening hours The earliest time to check in at the pension is 12:00, the latest time to check out is 10:00.